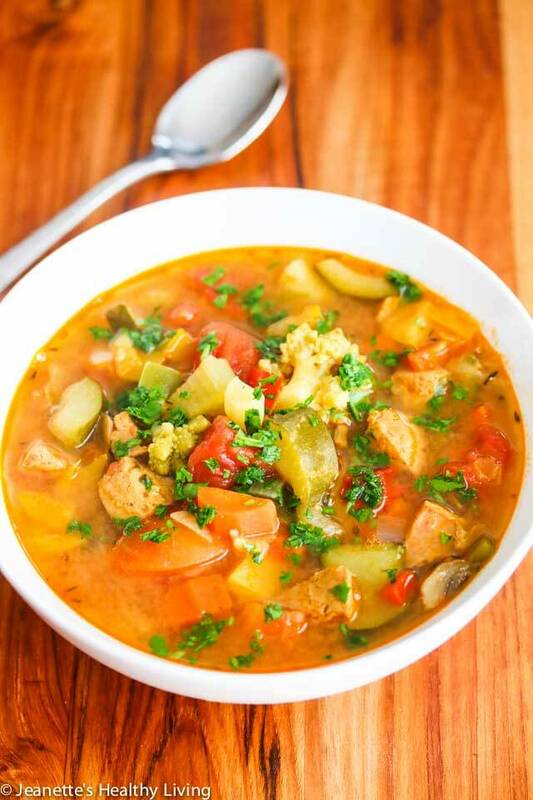 This Daniel Plan Vegetable Lentil Chicken Sausage Soup is packed with healthy ingredients – turmeric, lots of fresh vegetables, lentils and some chicken sausage for flavoring. Last night, our Daniel Plan group met for Session Two: Food, one of my favorite topics. Doing this study has made me realize that I haven’t been eating as healthfully as I thought. Yes – that is coming from a healthy living food blogger. I eat a lot more starchy carbs than I thought I did. Part of this I attribute to my upbringing where rice was served with practically every meal. 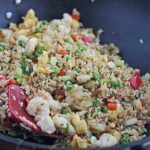 Although Chinese food is usually well balanced with a bigger proportion of vegetables to meat, it is always accompanied by a bowl (or in our house, a plate) of steamed rice. After I started following “The Daniel Plan Perfect Plate” the last few weeks, I have completely changed the way I look at my plate. Here’s what The Daniel Plan Perfect Plate looks like. Notice how it breaks out starchy vegetables from non-starchy vegetables. 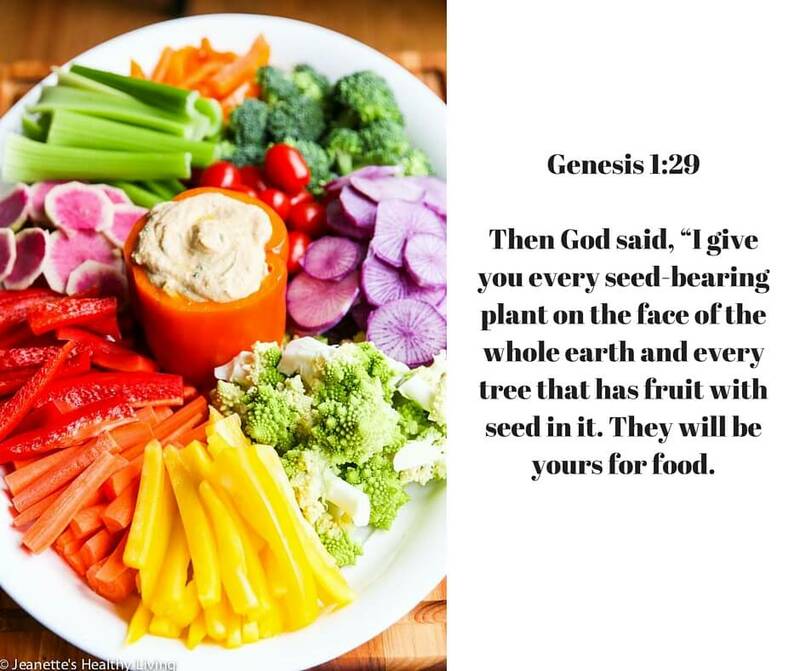 The Daniel Plan Perfect Plate also specifies low-glycemic fruit. 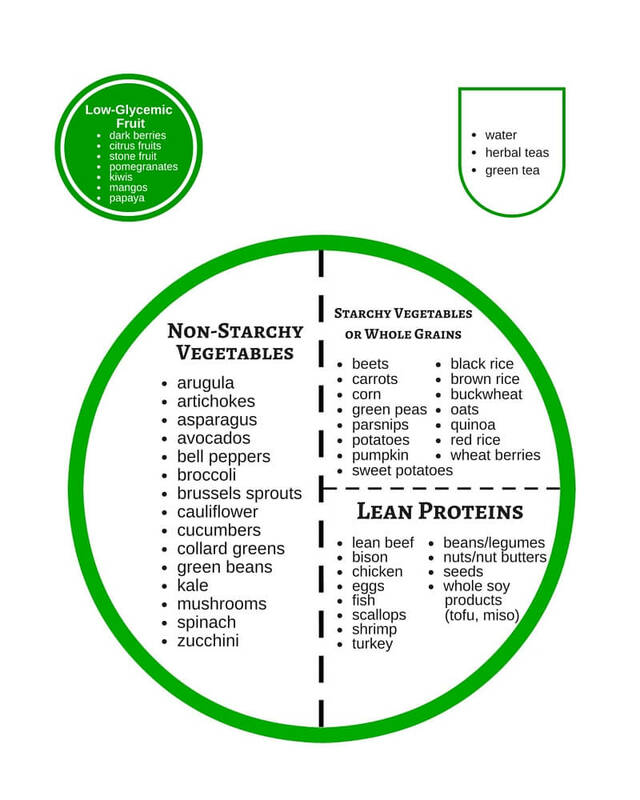 It’s all about managing the glycemic index, to keep your blood sugar low. So, it’s not just about eating a bigger proportion of vegetables to protein, but it’s about being conscious about our vegetable and fruit choices. This is vastly different than your average American plate. 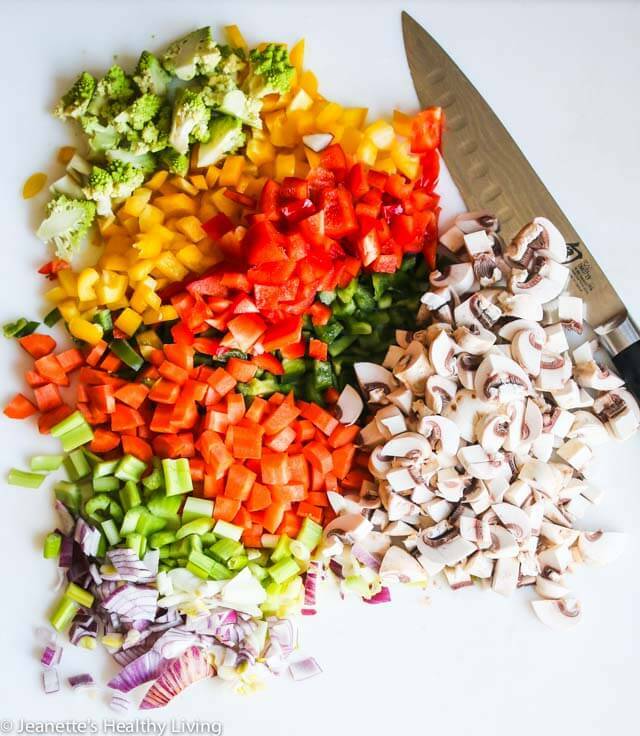 The Daniel Plan recommends that we eat at least 5-9 servings a day of vegetables (including 2 cups/day of some type of leafy greens) and fruits from the rainbow (1/2 cup of cooked vegetables/fresh fruit or one piece of fruit = 1 serving; 1 cup of leafy greens = 1 serving), the ideal serving size for grains is 1/2 cup for men and 1/3 cup for women (this was an eye opener because I usually eat 1 cup/serving), and a serving size of protein is 4-6 ounces or about the size of your palm. 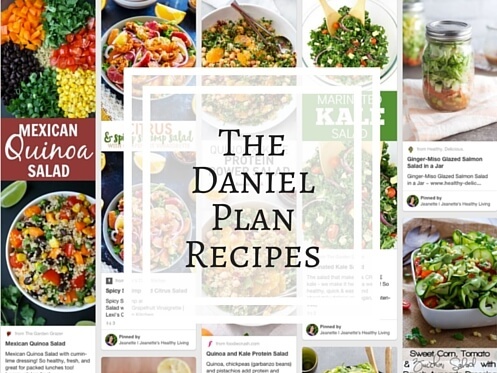 The Daniel Plan also emphasizes the importance of choosing the cleanest, most humanely raised animal protein sources, e.g., organic, grass-fed, free-range, hormone/antibiotic/pesticide-free poultry/lean beef/lamb/bison, free-range or omega-3 eggs, and low-mercury wild caught fish. 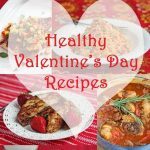 You’re encouraged to eat nuts (a handful = 1 serving) and seeds, use healing fats (extra virgin olive oil, extra virgin coconut oil, grape seed oil, 100% avocado oil and sesame oil), cook with herbs and spices (e.g., black pepper, cinnamon, turmeric, chili powders, oregano, rosemary, cilantro), and drink lots of water (flavor with fresh citrus slices, berries, cucumber slices, mint) and other healthy drinks (herbal teas, green tea). So, how do you actually put The Daniel Plan Perfect Plate into practice? On it’s own, this might sound near impossible. But, these two verses really hit me hard. Yes, I can eat anything I want, but does that mean I should? No! (1 Corinthians 6:12). Am I eating for my own pleasure and indulging my desires, or am I doing it for the glory of God? 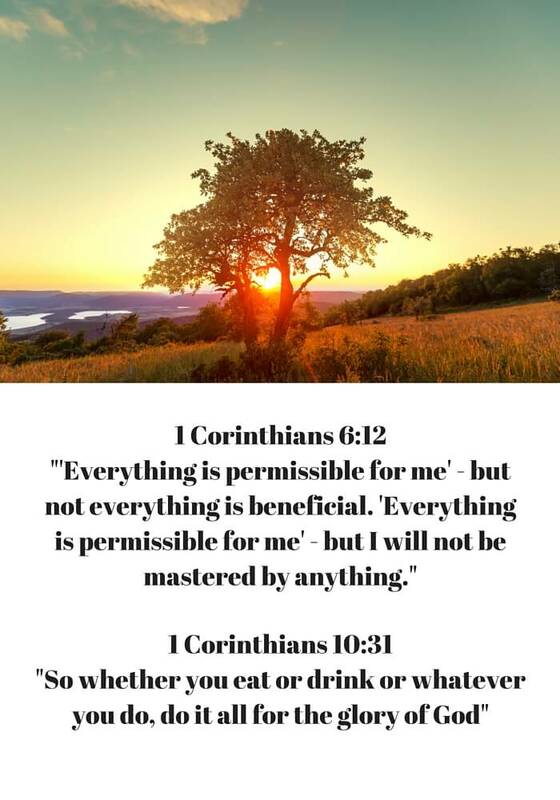 (1 Corinthians 10:31). I’ve been trying to change my focus and be much more conscious of what I’m putting on my plate and in my mouth. I do believe God wants us to enjoy eating and celebrate life, but I also don’t think we were meant to overindulge and eat whatever our heart desires – we need to control our desires. This Daniel Plan Vegetable Lentil Chicken Sausage Soup was inspired by my readings this past week as I prepared for our Daniel Plan study group. It’s packed with a variety of vegetables (carrots, celery, red onion, zucchini, cauliflower, red, green and yellow bell peppers) and lentils, and includes anti-inflammatory turmeric and anti-bacterial, antioxidant-bearing oregano. 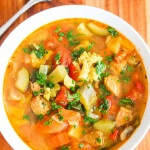 A few links of chicken sausage add protein and nice flavor to the soup. 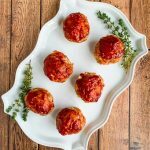 I made a double batch so everyone could sample it, and it received such rave reviews, I am writing it down so women in our group can make it at home. 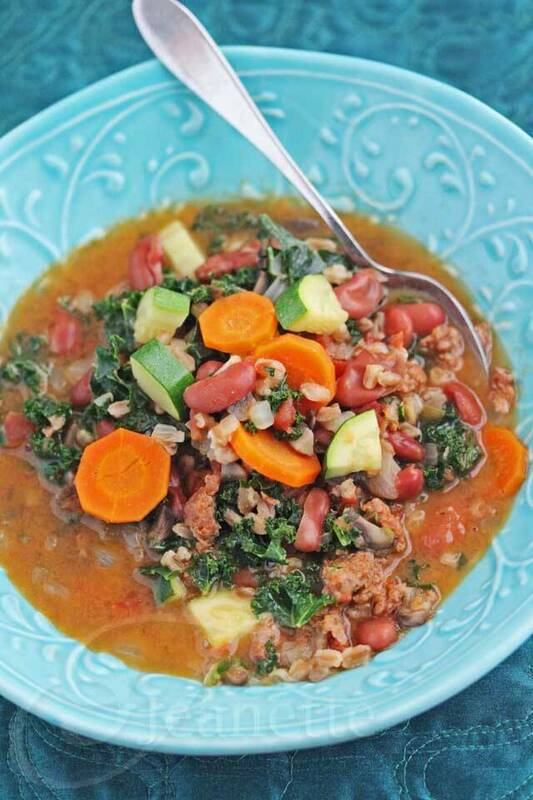 Lucy – this Daniel Plan Vegetable Lentil Chicken Sausage Soup recipe is for you ;). Heat olive oil in a large soup pot and sauté vegetables and minced garlic 3-4 minutes until fragrant. Season with salt and pepper. Add chicken sausage, turmeric, rosemary, thyme, and oregano; sauté another 2 minutes. Add tomatoes, lentils and chicken broth. Bring to a boil, then reduce heat and simmer, covered, for 45 minutes to an hour, until lentils are soft. Add more broth if you like a thinner soup. This soup tastes even better when reheated the next day. Nutrition facts will vary depending on the vegetables you choose. 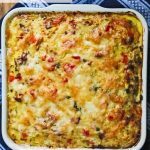 This is really loaded with veggies! I would love one huge bowl for the lunch. I have been on a huge lentil kick lately, and this looks delicious! 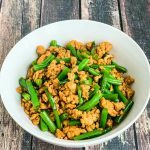 Luckily my kids and husband seem to like lentils too, so I’ll definitely be adding this to our dinner meal plan! I’ve heard of the Daniel plan, but wasn’t sure what it was about, so thanks for sharing! I was just looking for a good lentil soup recipe, and yours looks delicious! 🙂 Have a good weekend! this looks and sounds like one of those meals I would feel super good after eating. Gosh so cozy too!! Definitely will be on the to-do list! Thanks Selena – this is definitely a cozy meal! This soup sounds so dellicious. Thank you Jeanette and have a good weekend. Thank you Liz – I hope you have a wonderful weekend! 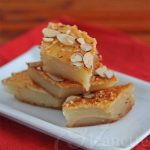 This recipe will be perfect this week when its cold and rainy here. I’m going to try making it in the slow cooker and add little turkey bacon. I made this recipe and it is definitely better the next day. Delicious! ??? ?